You need your knees for a healthy active life. Knee problems are one of the most common complaints associated with quality of life. We depend on our knees from the moment we get up in the morning, until it is time to go back to bed. Unfortunately, some take their knees for granted. They only pay heed when it limits them or when it hinders their favorite pastime. The knees are the most commonly injured joints. They are also, the first to degenerate. Knee problems are mechanical disorders that result from trauma or excessive stress. When issues arise, the BEST and ONLY option a knee sufferer is specialized non-surgical treatment options that focus on repair and recovery. Surgery should never even be entertained. The latest research that came from Europe is a study that has exposed the alarming failure rates of the Arthroscopic knee surgery! Researchers are now calling this a procedure that will damage a patient more than it will help. In other words, it is worse than wasting time or money; it will actually harm your knees more. Before you let the man with the knife open you up to the dangers of infection, nerve damage and death, you might want to listen to the advice of all the good doctors from Finland involved in the Finnish Degenerative Meniscal Lesion Study  and don’t do it. Skip the operation because it doesn’t work. That is what a group of highly accomplished professor doctors reported in their published multi-clinic research. Their research is reshaping the world. Your orthopedic surgeon may not be happy about it, but you knees will love it. They don’t have to be cut on to get better! In other words, fake (bogus) meniscus surgery works every bit as good as real surgery. In fact, the Orthopedic Professors that did this research related that a fake or a bogus procedure was better than the real one. The researchers pointed out that the so –called “Meniscus surgery” makes no sense. So, save your money, knees and maybe even save your life because any time you have any kind of major surgery there is always the risk of infection or death. Surgery is always the last option, never the first. Here at Chiropractic Specialty Center we have a lot of experience treating meniscus problems in our knee patients. Even the part of the meniscus that isn’t supposed to heal will heal, if you give it the chance and the proper treatment. Come in and let us show you how. Unlike others, we actually have knee therapy protocols that we follow. 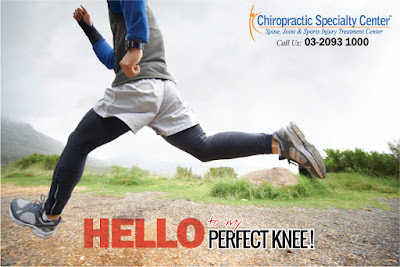 Our knee treatment protocols involve specialized chiropractic adjustments, focused customized physiotherapy coupled with Hi-Tech rehab and specific exercises. Literally we are better than all the rest. Best of all, we will not pressure you into plans or sell you expensive useless braces as some do in town. With our assistance, you will reclaim your life and enjoy living an active healthy life again. You can count on it! Call our visit us and you will see our difference. We have made patients better even when their surgeon told them that there is nothing left to cut. 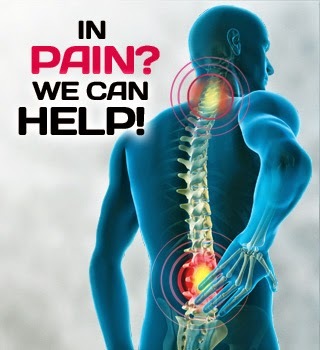 Call us even if you have been told to live with the pain. Even if you thing there is no hope—we are that GOOD. We have several locations throughout the Klang Valley. Visit us on line at www.mychio.com.my for locations and services information.